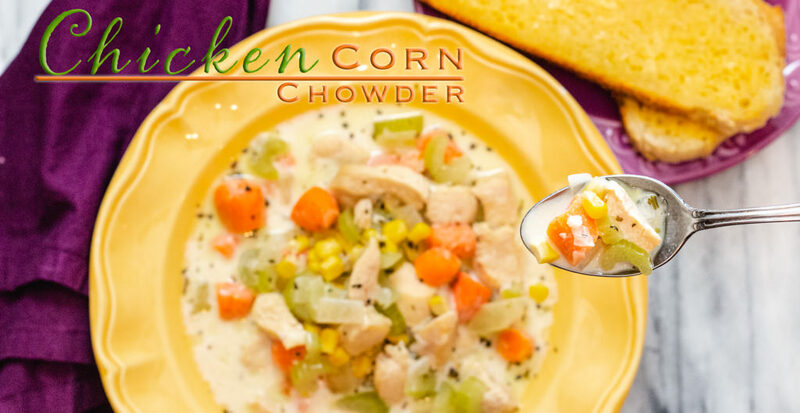 Chicken Corn Chowder is comfort food at it’s best! 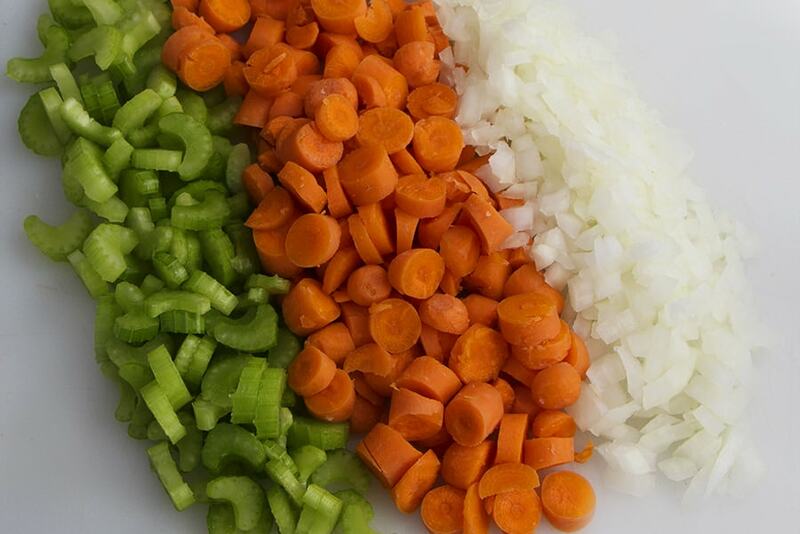 Using the base ingredient of Cubed Chicken, you can easily add to this stock base for a delicious filling chowder. 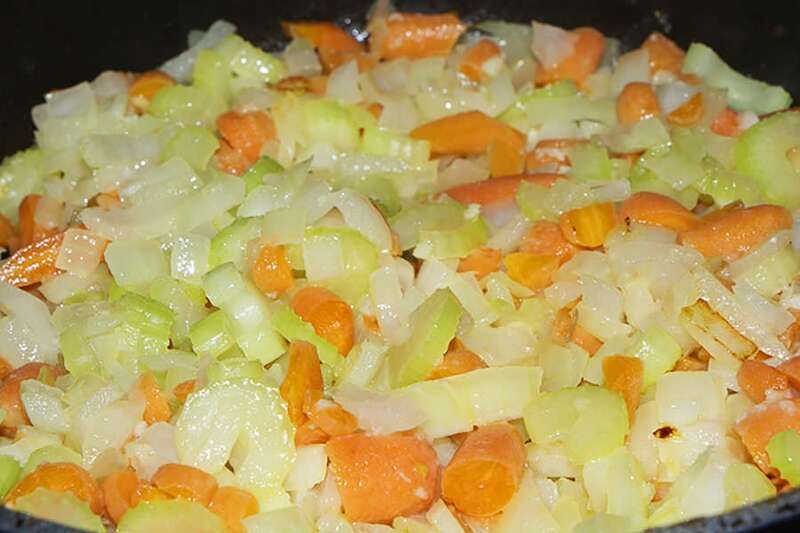 Its so quick to make, it won’t heat up your kitchen in the summer, but will fill your belly with the comfort of home.Make your experience in the kitchen easy and use baby carrots, just chop them up with celery and a diced onion and you are ready to saute these vegetables to perfection. I like to add 4 tablespoons of butter to a skillet when I cook up these vegetables. Their flavors melt together so well. Go ahead and add a little salt and pepper to taste, a little goes a long way! 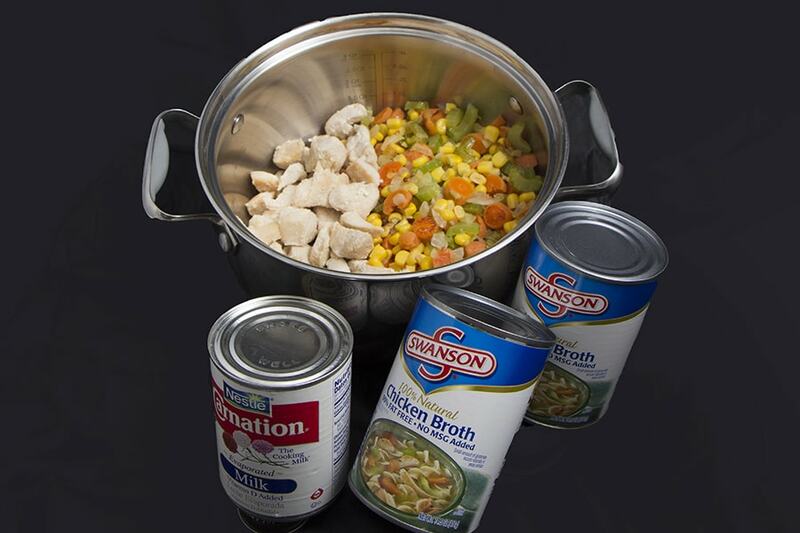 In your large stock pot add your sauteed vegetables and cooked cubed chicken along with broth and other spices. Over medium heat bring to a simmer for 15 minutes. 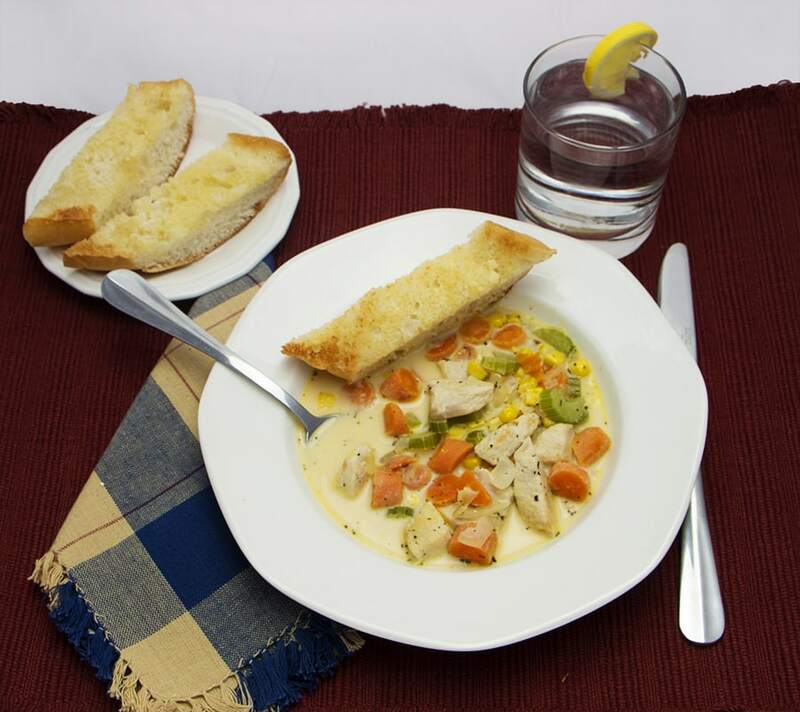 Add a can of evaporated milk and you are ready to serve.Garlic French Bread goes perfectly with this chowder and so simple to make while the soup is simmering. The recipe doesn’t say when to add the corn.